Offering you a complete choice of products which include brass sheet. Brass Sheets Available in Soft, Half hard and Hard Quality.Brass Sheets available in superior quality. 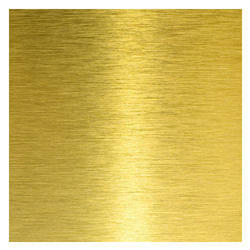 Brass Sheets available in all the the range to complete customers Requirement. We Export as well as Supply Brass Sheets as per clients requirement.